Ask most folks in South Florida where their gasoline comes from and they&apos;ll probably respond with, "the gas station." What they may not realize is that the answer is "Port Everglades." The same place you start your cruise vacation. Port Everglades has a long history of providing petroleum. Today, one-fifth of Florida&apos;s energy requirements come from petroleum that is stored and distributed by companies located at Port Everglades. Every day, more than 12.5 million gallons of petroleum products are delivered on tank ship and barges to Port Everglades. Port Everglades provides petroleum, including jet fuel, to 12 counties in Florida - keeping the entire region on the move. Behind the scenes, 12 petroleum terminals and pipeline companies operate within the Port&apos;s jurisdiction, but on private property. 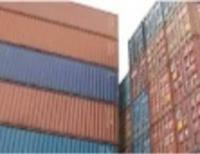 These companies adhere to state and federal regulations, as well as the Port&apos;s Tariff. Petroleum accounts for one fifth of Port Everglades&apos; total revenues. The current level of annual petroleum production for the region is more than 122.3 million barrels in FY2017. Keeping up with South Florida&apos;s demand for gasoline, jet fuel and other petroleum products requires an ongoing effort. Port Everglades is ready for the future with its Master/Vision Plan.